Ethernet leased lines shortly available throughout Belgium at better conditions via your favourite operator! The company formerly known as Belgacom, nowadays branded Proximus, is about to lose one of its remaining monopolies. The Ethernet leased lines on its network will shortly be on offer throughout Belgium from its competitors as well. Belgacom will have to offer competing operators considerably better wholesale service terms and reduced wholesale prices, enabling competitors to become (more effective) rivals of its Proximus Explore offering. Indications are that wholesale prices for certain network elements could decline by more than 50%. Alternative operators will also be able to pass on benefits (e.g. better territorial coverage especially outside cities and business parks, speed increases, perhaps price reductions) to their end-users in general and their wholesale customers in specific. Not that the prices are very transparent. It takes a fanatic and a couple of days’ time to get an idea of what the pile of e-paper produced on the matter by the BIPT, still at the draft stage, will mean in practice. The thing is though, that it is now a matter of weeks before more companies will be able to afford Belgium-wide coverage for Ethernet leased lines, which can be used for site-to-site connectivity, data center connections, backup solutions, internet access, etc. The one-off connection cost per site will go down, as well as the premium charged for speedier connections. The general expectation seems to be that the prices for end-users would not go down that much, but that (much) faster connections will be offered for the same price, and that locations at which companies cannot afford Ethernet leased lines today, will be served cost-effectively. This is good news for Belgian companies as well as for data center companies such as LCL, even if it’s a crying shame that it had to take 20 years before this market is now finally being liberalised. 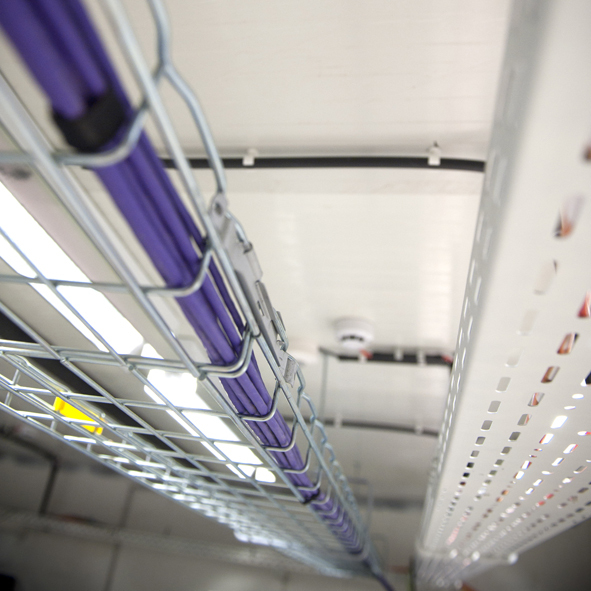 If more companies will be able to afford Ethernet services, more sites will be able to connect to quality external data centers such as LCL’s. We’re quite ready to receive all those companies that will now finally be able to work with us! We have been seeing a boost in demand over the last six months as it is. Companies are not only interested in shifting their data center cost model from capex to opex. The secure environment that LCL data centers offer, as well as the connection to some 30 operators, surely contributes to higher demand.